Donations are needed after massive fires broke out in Southern California this week, forcing the evacuation of nearly 200,000 people and destroying hundreds of homes. The United Way of Ventura County is accepting donations via text and online. Text UWVC to 4144 or visit their website for the Thomas Fire Fund. One-hundred percent of donations will go to the fund. The American Red Cross of Ventura County has set up three shelters in the area and are accepting donations. You can text REDCROSS to 90999, visit the redcross.org or call 1-800 RED CROSS (1-800-733-2767) to donate money. For anyone wanting to donate food and water, The Salvation Army of Ventura County has announced they’re accepting donations for people affected by the fire. The Humane Society of Ventura County says that financial donations are the best way that people could help and they can be made through their website. 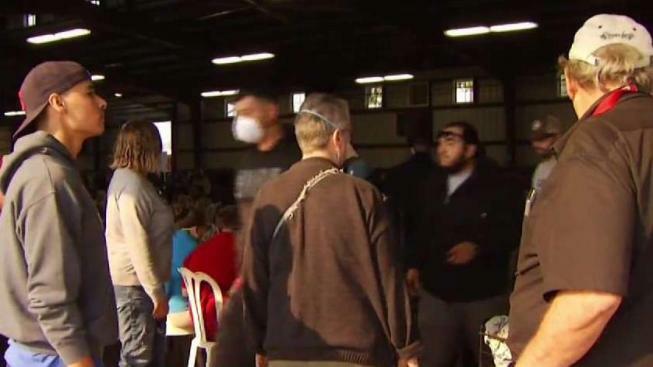 Representatives for HSVC said they have enough food and water for animals and people, but they need Alfalfa hay to feed horses, burrows and alpacas. The Ventura County Fire Department’s Facebook page has also provided information for relief. The Red Cross' Los Angeles chapter is providing information on its website about shelters available in the area. Antelope Valley Fairgrounds is accepting animals in conjunction with LA County Animal Control. The facility is currently accepting donations of food and water and house animals from cats to exotic creatures. San Diego County 2-1-1 said they needed volunteers at their call center, where people affected by the Lilac Fire fire were looking for resources and information. People can sign up to volunteer online or by calling 858-300-1269. The San Diego/Imperial County Red Cross (SDIC Red Cross) said the best way to help their organization is through cash donations. The San Diego County Humane Society said those who want to help can donate pet supplies and food by going to their Amazon wish list. The Del Mar Fairgrounds housing large animals said it could use donations of buckets, bedding, feed, shovels and rakes. GoFundMe has set up a "Southern California Wildfire Relief" page with dozens of campaigns to help individuals and families. YouCaring has also created a landing page for 2017 Southern California Wildfire Relief Fundraisers. Both sites rely on donor tips to defray costs. If you know of someone trying to help, send an email at tips@nbcla.com.